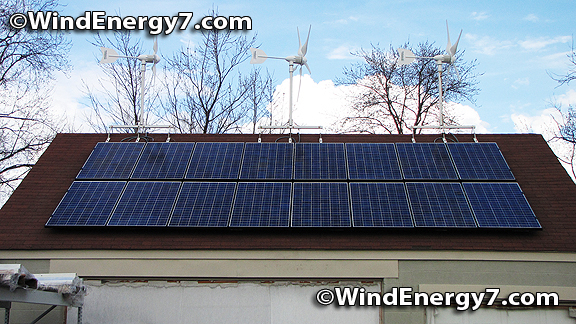 Although most of what we sell is hybrid wind systems, we still sell complete solar only home energy systems as well. There are many states where the wind resources are not so strong. There are many sites where a customer prefers to just have a solar carport, awning, or pole mounted array. I have been getting many calls from customers wanting solar only, like in Arizona, Georgia, Florida etc. Many from states where solar is a bit better than wind power in their area. But they are not aware that we have these online, ready to buy, and sell many solar only home systems. So, i decided to publish this to make sure everyone knows we sell solar only home systems all over the US if that’s what a customer wants. Like all our other systems the systems feature emergency home power and can all run as full grid-tie or completely off-grid. This is all American hardware from WindEnergy7 based in Ohio USA. Like all our other systems you get 30% back in IRS tax credit and we will help you with the simple single page form to get that 30% tax credit. Like all our other systems you can become the local dealer for our products if you like and we support and help direct your install all the way. If you are serious buyer and want to ask some questions, then give me a call. I’ll be glad to consult with you and take your credit card order by phone. There’s enough solar resources in !state for our solar power home systems to do real well. You will reduce or eliminate your electric bill for good! It’s a sure home improvement that will pay you back every day and is as sure as the sun will shine.